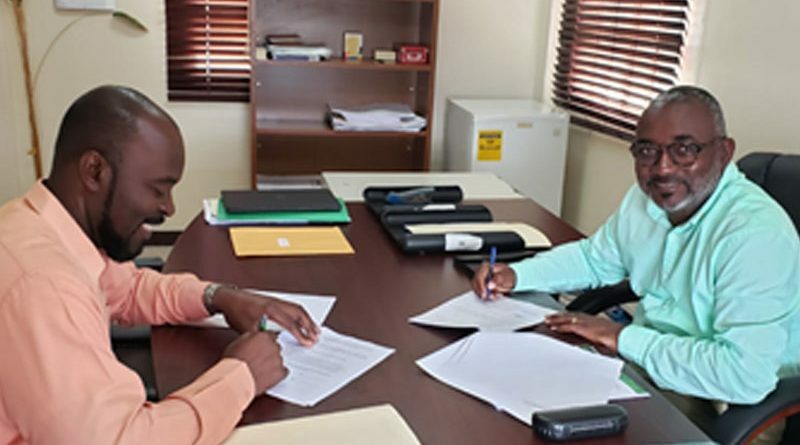 BASSETERRE, ST. KITTS, March 1st, 2019 – NHC is pleased to announce that Mr. Charles Morton has been appointed the Corporation’s new General Manager as of March 1st, 2019. Mr. Morton has a wealth of knowledge and years of experience in Management and Finance that are 2 key areas of expertise that the Corporation needs. He is responsible for the day to day operations of the Corporation, which includes but not limited to maintaining strong relationships and partnerships with relevant stakeholders, providing effective leadership to senior management and achieving the Corporation’s mandate. Mr. Morton will ensure that the Corporation lives up to its mantra, “Raising Standards” while striving to further enhance service quality and brand value into the future. Mr. Morton is very excited to be a part of a dynamic team responsible for a significant project of constructing homes for the indigent and infirm. As past President of the Rotary Club of St. Kitts, Mr. Morton fits right into this Corporation that is committed to helping our citizens. The Minister of Human Settlement Et al, the Hon. Eugene Hamilton, Board Members, Management and Staff at NHC welcome Mr. Morton to the team and wish him every success on this journey. We thank him wholeheartedly for his commitment to come on board to deliver the houses under the Unity Housing Solution Program in a timely manner.